For those of you who have read my previous Star Trek Armada (1) troubleshooting threads, I elected to switch over playing Fleet Ops instead. Needless to say, the networking issues my brother and I had were non-existent; we saw each other in the lobby the moment we entered it. Because of this, I've decided to switch over to modding Fleet Ops instead, but based on some of the guides I've skimmed over, Fleet Ops is almost completely different in the means in which you mod it. Despite this, I still plan on going through and attempting to make the mod I've always dreamed of making for Star Trek. I have a big taste for historical-style RTS games. Age of Empires III and Rise of Nations are big favorites of mine. In each game, there are several "ages" representing major periods in history that you research and use to upgrade and get new kinds of troops. Essentially, what I want to do, is create a "Star Trek" Rise of Nations in space. I've always taken enjoyment in taking an interest in all the different designs in Star Trek ship linage. I remember there being set eras in Star Trek - Legacy, but I never felt that the progression of technology, from ENT ships, to TOS/TMP ships, to TNG ships was exponential enough. 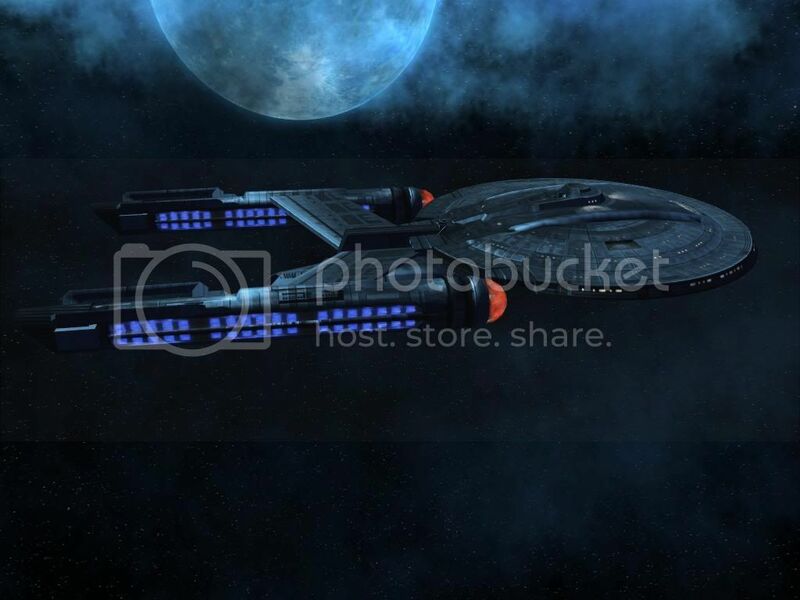 The Galaxy class felt like the Excelsior class, only slightly stronger. Plus, it didn't help that this notion of separate eras was in a less than stellar game. The game mechanics felt ridiculously straight forward and the main strategy was to hold down the phaser/cannon button until your enemies' shields were down, then spam torpedoes. I think the greatest advantage to using Fleet Ops as a platform instead of Armada 1 is how the techtree seems to work. The tech in Armada 1, required that whatever was required to build something, literally needed to be physically in the map (i.e. research pods on research facilities). In Fleet Ops, things that are researched are stored as technology for the player, and don't actually physically exist on the map, just like other more modern RTS games (like RON and AOEIII). Essentially there will be several ages or eras. In the game, there will be handful of Major Factions, or factions that will be playable. These will include the Federation (and Earth Starfleet prior to Age II), the Klingon Empire, and the Romulan Star Empire. I will add more factions as I find races that properly fit the bill for an ages mod. So far I've ruled out the Borg, because the Borg only work in the TNG era and after. It'd be awkward fighting the Born in the ENT and TOS eras because the Borg are overpowered already in the TNG era, and thus poses balancing problems. Essentially this is the same reason I am against the Dominion being a major faction as well. Since they were only seen in the Post-TNG era, and they were already a handful for the combined entirety of the alpha/beta quadrant powers, they feel just as overpowered as the Borg (albeit not as much). The other race I considered for being a Major Faction, was the Cardassians. I once again ruled against this, because across all of Star Trek, they have only been seen in the TNG era, and beyond. Opposite of the Borg and Dominion, Cardassians actually tend to have under-powered ships and technology, despite their heavy emphasis on their military. So I'd have similar balancing/progression problems incorporating them into the mod. In this mod, I want there to be a handful of minor races that benefit players by forging alliances with. I want these races to function similar to the natives found in Age of Empires III. If some of you don't know anything about this, in AOEIII, you could build trading posts in certain spots on native settlements, that would then let you purchase unique upgrades from that culture to benefit your own nation. You also had the ability to train a handful of native troops from this trading post (with a cap limit, due to the fact that native units didn't occupy any population). I have no idea what the ships for the Romulans will be across all of the ages. I'll come up with more as time goes on. I was also inspired by the idea of 3 different roles of ships from Star Trek Online. I have modified them for this mod idea. 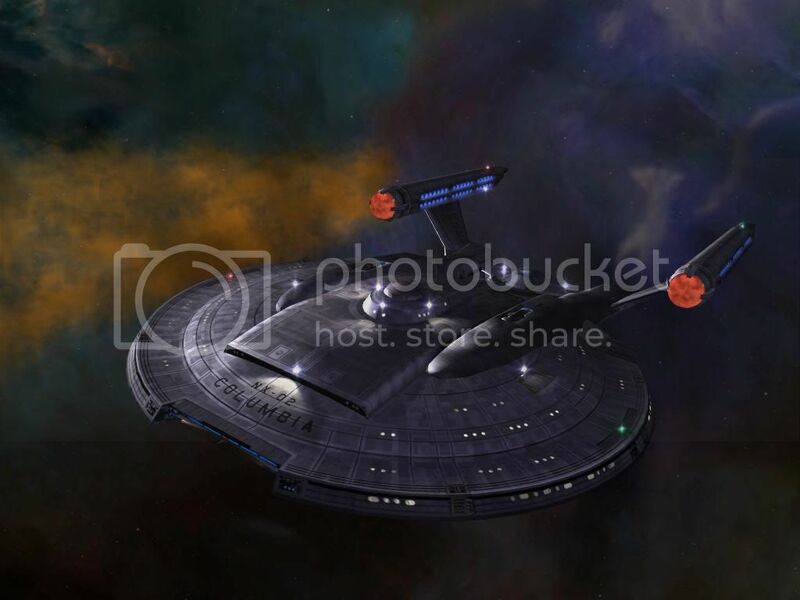 There are, Tactical vessels (Escorts in STO), Explorers (Cruisers in STO), and Science vessels. The projected way to use these ships is similar as it is in STO. Tactical vessels would be nimble and deal lots of DPS. Their drawbacks would be that they have weaker hulls or shields, and the majority of their damage dealing weapons would be forward firing only. Science vessels would be at the opposite side of the spectrum. They would deal significantly less DPS than Tactical vessels of a similar tier, and they would be much slower. Their advantages would be larger sensor ranges, and access to a handful of special weapons, where tactical vessels would have little to no special weapons. Explorers would be a more "middle of the road" role between Science vessels and Tactical vessels. With more balanced DPS and sensor range. They would have bulkier hulls, and have at least one special weapon. Also, larger explorers may be equipped with tractor beams. Almost all Post Wolf 359 ships, save for maybe the Sovereign. 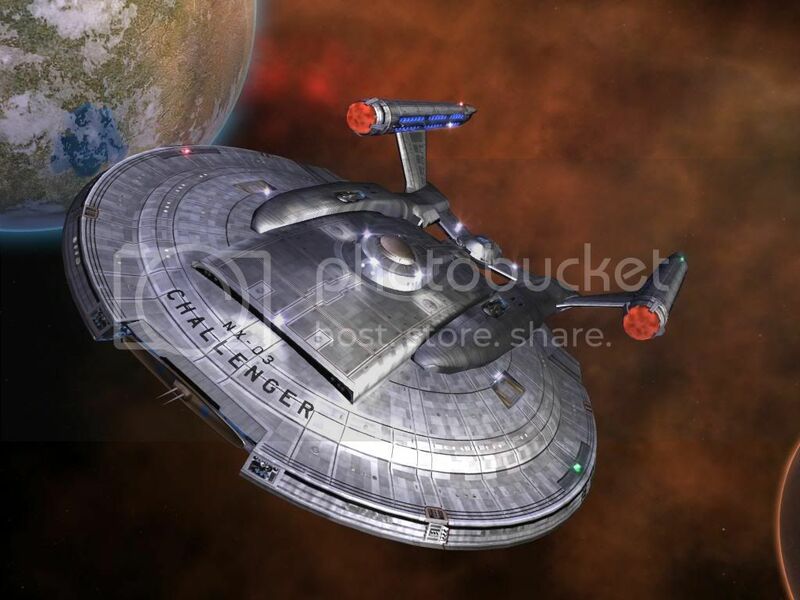 In creating a mod with several ages, and several technologies and ships within each age, I'd obviously have to create separate construction ships for each age, with set stations for each age. The problem with this is that with so many new stations, players will have to do some decommissioning of facilities to replace stations with newer, upgraded stations. Based on what I've seen from Armada AI files, the means that computers build ships and stations is conducted in a checklist manner. If any of the stations are non existent at the beginning of the build list (whether they were destroyed or not build yet), the computer AI will prioritize their construction and complete that task prior to building anything else. In short, I don't think there is any way to make this ages mod usable with AI players. Last edited by OVCathens on Sun Sep 01, 2013 6:11 pm, edited 8 times in total. Sounds good. Good luck with it. I'm not sure what the other races that I could use for this mod would be. A logical first choice for a minor nation would be the Ferengi. I'm also set on the Cardassians as well. My reasoning for the Cardassians being a minor race, is because they were a race that wasn't apparent throughout all of eras of Star Trek, and in the TNG era, despite the heavy emphasis they placed on their military, their ships seemed relatively inferior to their counterparts of other races. Therefore, I figure that the Cardassians wouldn't be a good choice as a major race, if the mod take place over the course of centuries. As for other Major races ideas, the Dominion would be a logical choice, but seems difficult because I would have absolutely no idea what to give them for older tech, plus the fact that as opposed to the Cardassians, their ships are usually portrayed as being overpowered, so I'm not sure how I would work it. The Borg are out of the question for this ages mod because they are overpowered no matter what era they would be in. This is exactly what I'm doing with my STA2_Generational Mod except I'm using the FleetOps Mods Directory and have so much more added to each race that what you've mentioned. Also, I may have come up with an easy method to fix the AI problem you've mentioned and right now it seems like the best and logical way to go about tackling the AI. 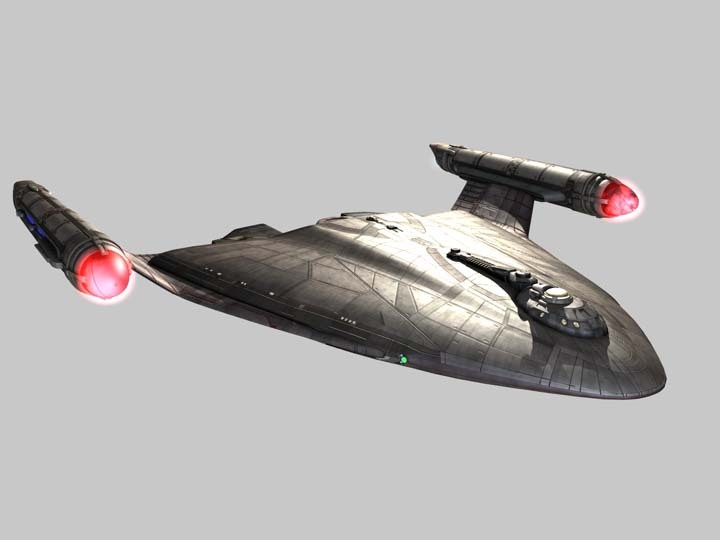 Something I think I noticed in Star Trek Enterprise in the Season 3 episode "Damaged" the race of the crew on the ship Archer and his team boarded appeared to be Cardassian actually, plus the ship appear to be a Hideki Class ship which is clearly Cardassian as a scout ship in Star Trek Deep Space Nine. That's a good observation. I actually just watched ENT: "Damaged" a few nights ago. Good episode. I've also thought about adding the Xindi as a minor race in addition to the Orions, Gorn (maybe), and Maquis (or some other Earth/UFP off shoot group, with the only problem being that it wouldn't make sense for them to exist prior to the TNG era). I've also contemplated giving the Federation in the Post-Ent era Andorian, Vulcan, and Tellarite ships in addition to the ones they already have. It makes sense because at that point they would be one unified faction rather than having the Federation, and then having Vulcans, Andorians, and Tellarites as minor races. Perhaps for a final major faction, I should make a rag-tag race simply called "Independant". The Independant faction would have a random collection of star ships and technologies, and would be more of a rush-based faction rather than a faction with a full tech tree. If you've ever played Flashtrek Broken Mirror, and used the Independent faction, you'd understand what I mean. I'll update my first post to reflect these new ideas. Also, I'm interested in your Generational mod. What is the overall format, and what kinds of ships did you add? In each age, there will will be 9 tiers of ships. This is used to sum up the combat effectiveness of a ship (weapons, shields). Every ship will be cost proportional based on its tier, stats, and special weapons. I will give a listing of 24th century Starfleet ships in their respective tiers to give a bit of an outline on how I plan to do this. I will also color the ship classes in conjuction to what type of ship I plan on them being (Explorer, Tactical Vessel, or Science Vessel). Also, ships built in earlier ages will not retain the same tier as ages progress. For example, when the Excelsior is built in the Post-TMP era in Age VI, it starts out as the Federation premier battleship (tier 9). However as time progresses and you advance to Age VII, the Excelsior class becomes the dreadnought of the fleet (simply a tier reserved for older battleships, no ship originally starts in tier 8 ) and is then tactically outclassed by the Ambassador. Again, when Age VIII rolls around, the Excelsior takes the battlecruiser tier, Ambassador the dreadnought tier, and the Galaxy inherits the battleship tier. I think I'm going to make profiles on the Age I ships. 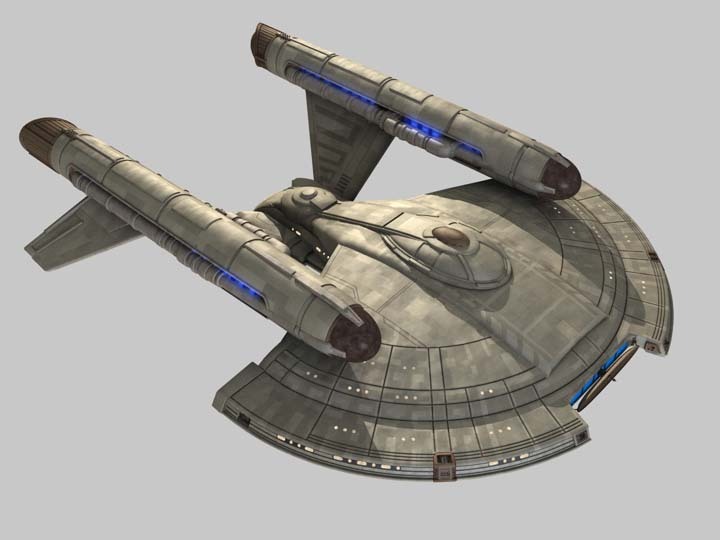 I'll start with the Earth Starfleet ships since I know what they actually will be.